Squash and zucchini aren't commonly found in Japan, but these summer squashes are used to make a staple side dish in Japanese steakhouses throughout the United States. Chopped onions usually accompany the yellow squash and zucchini, but you can also add mushrooms or pepper strips to customize the dish. Japanese steakhouses typically use teppenyaki grills, large iron grills the size of a table, but you can get similar results with a cast iron skillet or griddle. Cut the ends from a large onion and remove the papery skin. Cut the onion in slices about 1/4 inch thick, leaving the rings together. Try sweet onions or yellow onions depending on if you prefer a sweet flavor or a spicier bite. Cut off the ends of small zucchini and yellow squash. Cut the zucchini and squash in half lengthwise. Lay the vegetables on a cutting board with the flat, cut side facing down. Slice them into strips roughly the size of a french fry. 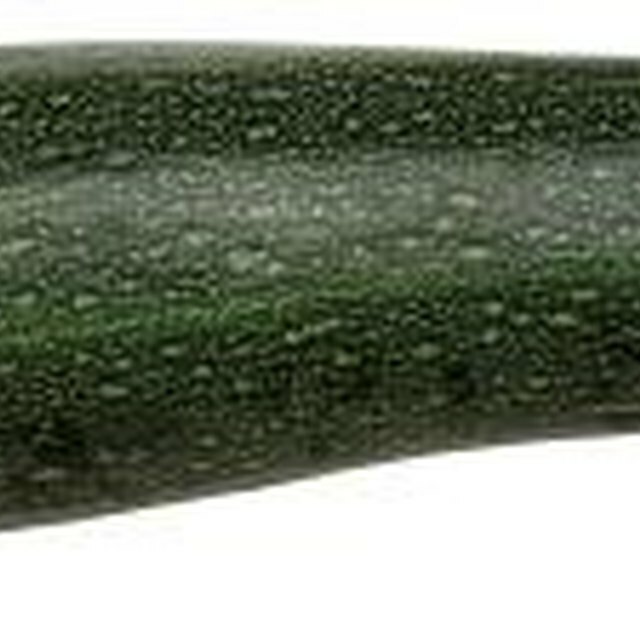 If the zucchini and squash are long, you can cut the strips in half so the pieces are no more than about 4 or 5 inches long. Brush all sides of the onion slices and zucchini and squash strips with sesame oil or a similar cooking oil. Melt butter in a skillet or griddle over medium-high heat, using enough butter to thoroughly coat the bottom of the pan. Place the onion slices in the griddle and cook them for about 4 minutes or until they soften, turn translucent and start to brown. Flip them and repeat with the opposite side. Remove the onions from the skillet and cut them into slivers about 1 inch long. Add the zucchini and squash strips to the skillet or griddle in a single layer. Cook for about 3 minutes on each side or until they begin to brown. Return the onion slivers to the pan and toss all the vegetables together. Season the vegetables with salt and pepper while they finish cooking, if desired. Stir in just enough soy sauce to coat all the vegetables; try adding some Teriyaki sauce, too. Alternatively, you can glaze the vegetables with a bit of miso applied with a basting brush. Saute the vegetables until the onions are golden brown and the zucchini and squash strips are well browned on all sides. The zucchini and squash should soften enough to be flexible, but still retain a bit of crispness. Remove the vegetables from the pan and transfer them to a serving dish. Sprinkle sesame seeds generously over the top to finish the dish. If you choose to add peppers or mushrooms to the dish, add sliced peppers along with the onions. Add sliced mushrooms to the dish at the same time you add the zucchini and squash.